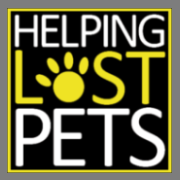 We are very pleased that Best Friends Animal Society has provided the information on the found pets being held at their Hurricane Harvey temporary shelter in Houston to our partner, Helping Lost Pets . This will make it easier for volunteer matchmakers to make matches and reunite pets lost in the storm. We have provided the link below. Change the fields to sort by status, date, gender, breed and location.